What is LibraCart from Agrimatics? 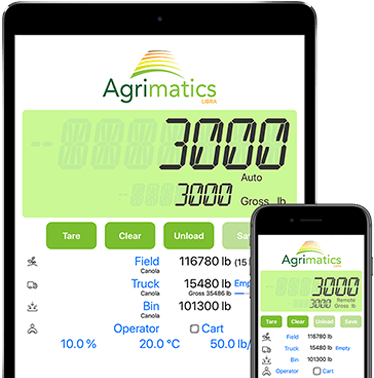 LibraCart is a smartphone/tablet app which allows you to transfer data between your LibraCart hardware on your grain cart and get grain cart weighing information and a data management system. The hardware can easily be mounted directly onto your grain cart to industry-standard load cells through the junction box, and it will then transfer all data to your smartphone or tablet. No wires, no cords. Just your smartphone or tablet and the LibraCart hardware mounted on your grain cart. Our patent pending Libra Cart device connects wirelessly to all in-range mobile devices, providing world-class indicator displays to the entire team. The Agrimatics design for LibraCart hardware is also power-efficient, and the battery (3.6V AA lithium) usually lasts the entire season or more. No time wasted with a dead device or searching for a battery. Plus, the LibraCart hardware is built to last and able to withstand extreme temperatures, heavy rain, wind, and mud, vibration, and beating sun. What Kind of Data Does it Record? LibraCart technology, patent pending, will record the day, month, and year, the time, the weight, and the GPS location of each grain cart unloaded. It will then provide load tracking from field to truck to destination. It’s not a difficult tool to use, and it doesn’t require any specific training which saves you time. Time is money, and during planting and harvest you need as much time as you can get. What Devices is LibraCart Technology Compatible With? 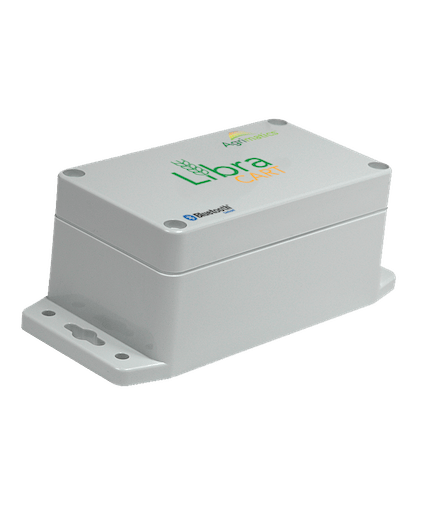 At the current time, Libra Cart is compatible with iPad 3 and newer, iPhone 4S and newer, and Android devices running versions 4.3 or newer with Bluetooth® Smart. Please note that all of LibraCart’s updates/new features are developed for iOS devices first, and they are then brought to the Android devices. If there are any problems with the device, there are remote diagnostic capabilities. Libra is designed to just work, and it will keep you on track and get you back to work. Interested? Give West Enterprises a Call! If the Agrimatics LibraCart seems like something you'd be interested in, give West Enterprises a call. We are happy to help you get set up with the app and hardware. We want to make your operation the most efficient and profitable that it can be. Give us a call today for more information!